Karen Handel, a top Komen official who was said to be instrumental in putting in place the changes in Komen policy that essentially resulted in cutting funding for Planned Parenthood, has resigned her position. 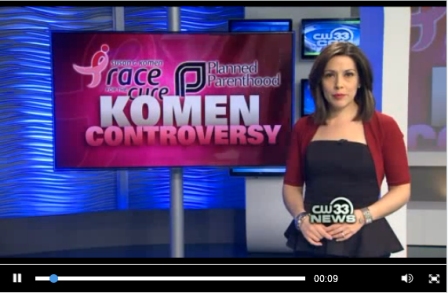 As LifeNews reported last week, Komen initially decided in December to revise its grant-making process to [fund] grants to agencies that provide direct health services for women — which would eliminate Planned Parenthood since it does not do mammograms. After Planned Parenthood, . . . pounced on Komen for its decision, Komen clarified that Planned Parenthood would still be allowed to submit grant requests but they may or may not be funded. 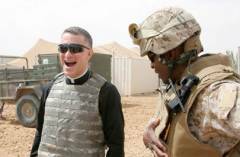 A letter from the military archbishop saying that Catholics “must not” obey the impending birth control mandate from the Obama administration was barred from being distributed to Catholic priests and edited by military officials that saw the criticism as an incitement to disobey the Commander in Chief.